This listing is for 3 miniature kitchen tea towels. 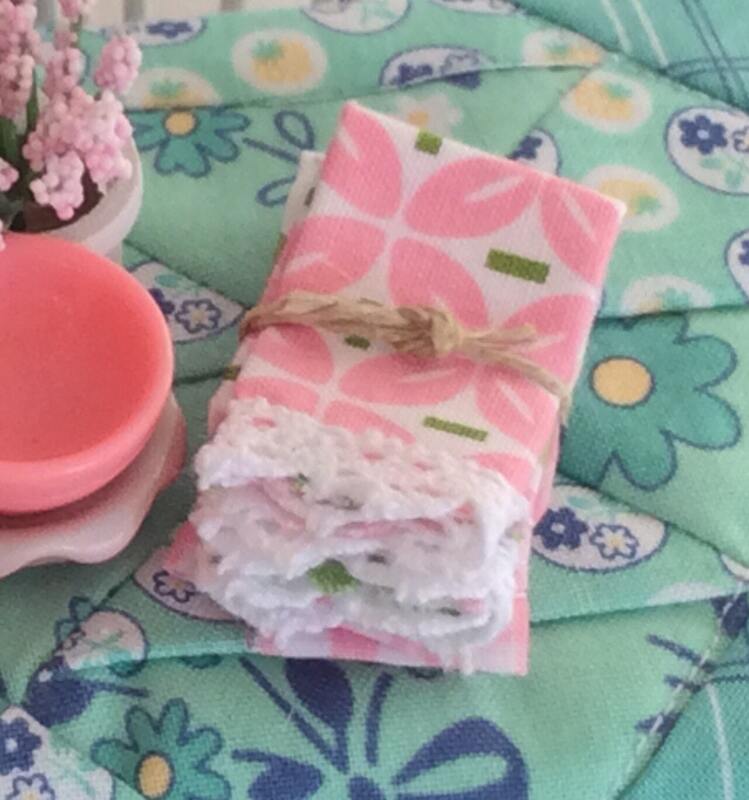 Two towels are edged in lace and the pink gingham is edged in the cutest pink Rick rack. Perfect for a little kitchen or bakery diorama. They are folded and tied together. 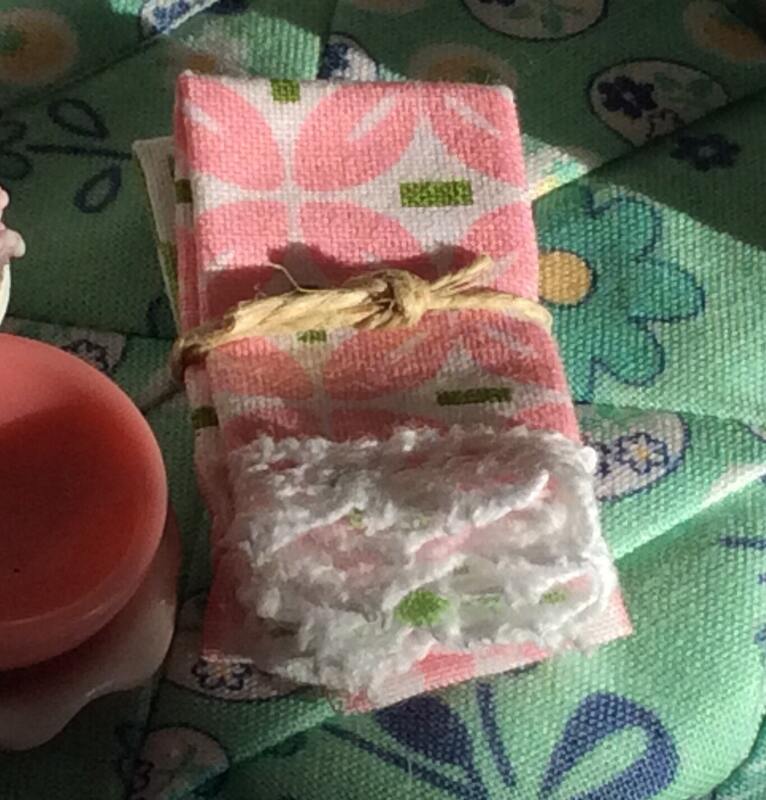 When folded they are 1" x 1 1/2"
They are considered decorative miniature items. 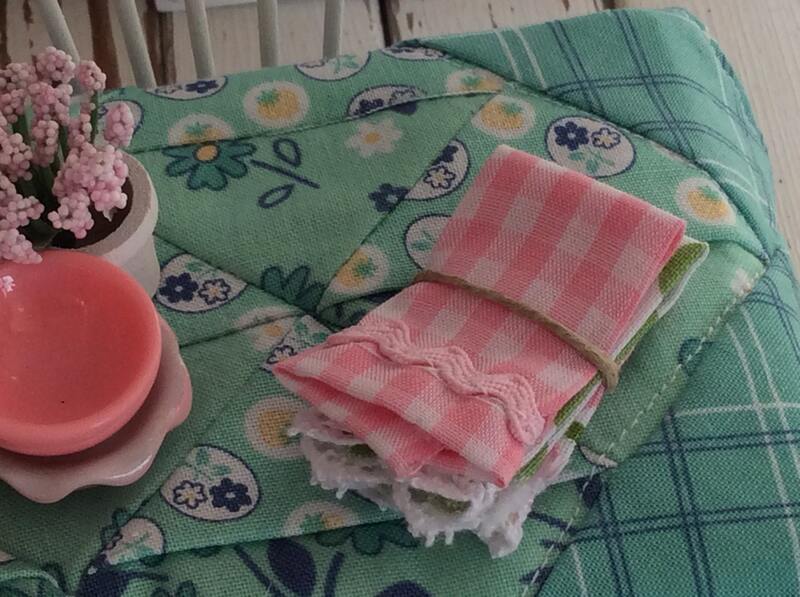 My tiny kitchen towels are adorable and such a cute addition to my miniature bakery. Thanks Debbie for such great service and great quality merchandise.